“No, I’ve NEVER been able to hula hoop!” That’s exactly what Instructor Angela Reitter thought until she gave it another whirl with a big hoop...it actually stayed up...& WHAMO! (pun intended) At age 45 a hooper was born! Spinning on the waist was fun for a while, so then what else could she do? Hoop classes were unheard of, but the internet offered hundreds of free inspiring tutorials. Learning to flow with the hula hoop on and off body turned out to be an addictive, show-stopping, total mind & body workout! With the help of online hoop gurus like Deanne Love & Rachel Lust, Angela became certified as a HoopLove Coach in 2016. Now she shares the joy rocking out and dancing with a hoop in live and local classes for adults & seated seniors. Her classes feature hit playlists to rock your core, skills and drills to train your brain, & combos to find your flow. She also performs demos, hosts themed Hoop Jams, & makes custom collapsible hoops. FHF is the perfect place to give Hula Hoop Dancing a whirl and unleash YOUR inner HOOPERSTAR! Cheyenne haS been a Zumba instructor for 3 years and absolutely loves what she does. She has a passion for fitness and for dance and the effect it has on so many lives. Cheyenne grew up in the Caribbean where she was exposed to international music at a very young age. She has been dancing to Soca, Merengue, Bachata and Reggae music since she could walk. When she discovered Zumba, it was the perfect combination of dance, fun, and fitness all at once. It was her calling . "If you have not tried a Zumba fitness class, I sincerely encourage you to do so. Come work up a sweat and have a blast doing it. Peace, Love and Zumba!" Andrew took his first Insanity class searching for a way to get past a fitness plateau. Within a few weeks of incorporating the Insanity workout into his routine, he began seeing the results he was looking for. The insanity workout is designed to hit all muscle groups in the body, it will push to your limits and then some. Don't quit, push through and you will be successful. Andrew teaches FHF BOOTCAMP BUTTS AND GUTS !. Excited to see you in class! Cassandra, also the owner of Forever Hart Fit has always had a strong interest in working out and personal training. She comes from a background in arts and has sung soprano in weddings and traveling in singing groups. She likes to incorporate this knowledge of performing arts in her training to provide a more interactive approach. She loves to exude energy in her “Get it Girl” attitude in class and passes that along to every member! She also makes sure that everyone is attended to and checks for things like proper alignment. She enjoys people coming in and starting with 1 lb weights and progressing all the way up to 5 lb weights to get strong! Cassandra believes that working out should be fun and promotes community in this philosophy as well. Reflecting on what you are thankful for at the conclusion of each class is just one way Cassandra encourages both physical and mental well being in spirit. She is AED and CPR Certified and currently working on Obtaining AFAA Group Certification CURRENTLY. Cassandra is also an FHF Barre Fusion Instructor , ZUMBA instructor and teaches interval strength training, STRETCHING as well as certified in zumba gold. currently she is PURSUING Yoga and Pilates Certifications. She also holds a BS in Interior Design from the Art Institute of Philadelphia. Maribel Hernandez was born in Puerto Rico and came to Trenton, New Jersey at three years old. She has been a Zumba® Instructor for three years. Her love for dancing is rooted in her Caribbean heritage and in the influence of club and dance music from the '80s and '90s. She can’t wait to see you out on the dance floor! Evan began his teaching career years ago, playing Just Dance with his friends. He loves to dance, so when he discovered Cardio Dance and Zumba, the rest was history. What could be better than diving into a dance party and getting an amazing workout? To maximize, effectiveness and safety, Evan went on to acquire an ACE Group Fitness Instructor Certification. Inspired by his experiences, he wants to share his passion, and show everyone that working out doesn't have to feel like work! Doreen is an AFAA certified Personal Trainer, Group Fitness Instructor, and Nutrition Counselor for the last 15 years. As a former dancer with the Rutgers Performing Dance Company, she found that Pilates had similar principles to dance, and made her feel just as energized and strong. She feels that developing core strength and flexibility is crucial to help correct muscle imbalances, improve posture, and rehabilitate previous injuries. Pilates is also amazing for relieving stress, tension, aches & pains. Regular practice of pilates will allow you to continue to be able to do many of the activities you love for the rest of your life. Angel Turner became a Zumba® fitness instructor and ZIN™member in 2011. She first fell in love with Zumba® fitness after attending some classes and feeling the warmth, high intensity, and charismatic nature of the instructor and students alike. These aspects matched her personality and the fact that she loves to dance, so he could not help but join the fitness party. As an avid lover of sports and growing up as an athlete, fitness has always been an important component of her life. Shifting from just being a student to an instructor was seamless, and she has not looked back since. Angel went past Basic Zumba® training to also become licensed in Zumba® Toning, Sentao™, and Aqua Zumba®. Come join the party with Angel! Archana Savkar has done her Masters in Business Administration specializing in Human Resources and has completed her Indian classical dance training . Having worked for many years in the professional environment she decided in 2006 to follow her passion and dreams of teaching dance. She has never looked back since. Her creativity in her choreography is her biggest strength. Her forte is the way she blends dance styles with body fitness through energetic moves. Come experience a whole new way of working out. You will dance your way out of the room after this action packed fusion feeling positive and fit throughout the day. Olga has been into health and wellness for a long time and has tried many different fitness styles. She is a very positive person passionate about fitness and healthy living. Due to her medical background, Olga believes that a healthy life should be pleasant and full of fun! She is ready to share her passion with you so let's fill our workouts with joy and help each other reach our personal goals! 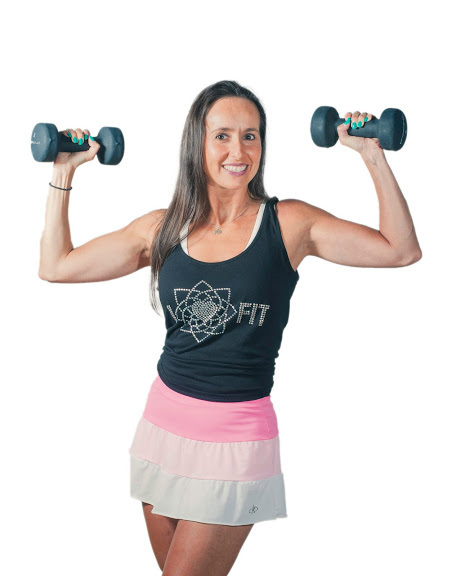 Marion is a mother to three children including Cassandra, the owner of Forever Hart Fit! 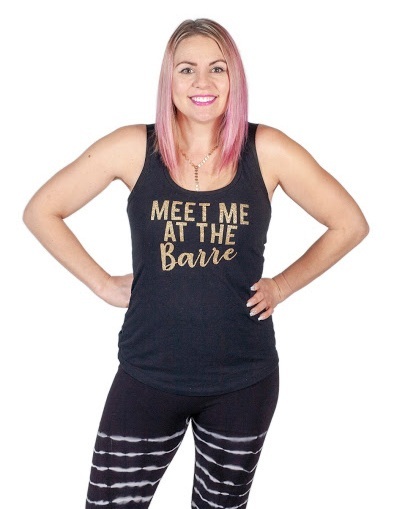 You’ll often see her in the studio just hanging out greeting customers and soaking in positive vibes that the studio has created in it’s movement to empower women! All throughout Cassandra’s life, Marion has encouraged and made her into the strong, positive woman that she is today. In the 1970’s women’s movements inspired and influenced her to grow into a strong, outgoing independent woman herself. She has passed these values on to Cassandra. Her background includes her education at St. Mary- of-the- Woods all girls college in Indiana and she holds multiple college degrees in teaching French along with a Paralegal degree. During difficult times Marion turned to exercise and jazzercise herself to alleviate stress and help her mental state. It helped her to form the positive mentality that she possesses today. Marion is our Cheerleader to other woman and is constantly encouraging other women take classes and push themselves further. She loves to see the potential in all of the women! She looks forward to seeing you too! Before venturing into a yoga studio in 2013, Sandy practiced yoga at home with videos but didn’t “get it.” But after that first studio class, she “got it” and then she couldn’t get enough. She dove in deeply and eventually completed her 200-hour teacher training at Honor Yoga. She still can’t get enough and continues to expand her knowledge of all things yoga through frequent TRAINING. Sandy takes great pleasure in helping students “get” yoga’s powerful physical, emotional, and spiritual benefits. Through alignment-based asana, pranayama, and meditation, her classes create a respite from our frenetic world and allow students of all ages and stages the opportunity to reconnect with themselves and that which is greater than themselves. Seema (E-RYT500) is a certified yoga instructor with a bachelor's degree in natural sciences.She successfully completed the 500 hour yoga teacher training in 2009 which included certifications in kids yoga as well as prenatal yoga. In 2013 Seema completed an accredited y4c(yoga for cancer) level 1 teacher training. Recently she completed the Accessible yoga training in New York City.She also works with children and adults with special abilities. Seema believes yoga is a practice for one and all regardless of age, ethnicity, religion/spirituality or physical ability. Yoga aims toward having the mind and body in perfect balance and allows us to focus inward.It forces us to connect with our breath(life force energy)something we all take for granted. Practicing a little bit of yoga everyday is better than a great class every once in a while. Beth is an ACE Certified Personal Trainer, FAI Certified Functional Aging Specialist and TRX instructor.After raising two wonderful children it was time to focus on herself to live a healthier life. Making lifestyle changes through fitness and eating habits reignited the lifelong athlete inside and love of fitness! Experiencing a total mind, body, soul transformation her passion emerged for wanting to help women get started on their own fitness and healthy lifestyle journey! As a Functional Aging Specialist, we focus on changes that can occur as we age, such as, developing osteoporosis, arthritis, joint replacements, etc. We must work to maintain mobility, flexibility, balance and strength! No matter your age let’s use it so we don’t lose it! As a teen, DErrick was always around music. one day, his brother woke him up on a Sunday night and there he saw his calling. His inspiration came when he saw a bunch of other teens dancing and showing their talent on T.V. Years later, he went from dance in the classroom to a backup dancer and choreographer. now, a fitness coach. Derrick matches his feelings and tone of music from his past to help others who have felt the same. He’s a Brooklyn guy who just wants to share the love of culture and dance in order to tell stories through music. Derrick has the support of his wife, Mia of 8 years and children Khalilah and Zion. Katelyn Mulligan took her first Zumba class in 2009 and first became certified in 2011, but she's been dancing since she was a small child. Years later, she now enjoys being able to balance her life and corporate job with her love of dance, and Zumba allows her to do just that. Come relieve the day's stress with Katelyn. She will love to meet you on the dance floor!